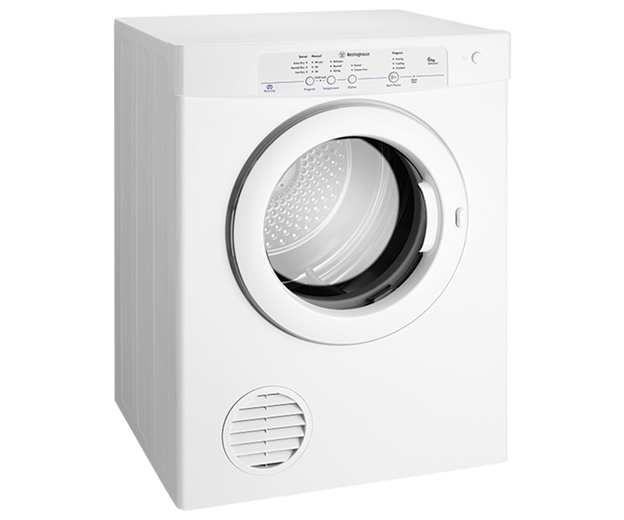 Electronic Sensor 6kg Clothes Dryer is rated 4.3 out of 5 by 7. 600W x 620D x 795H(mm) ? A 6kg capacity clothes dryer with electronic sensor push button controls, reversing action, stainless steel drum, childlock and crease free option. Rated 3 out of 5 by parker from average dryer, not bad, just not great. clothes take longer to dry than expected. even with modest loads, it's fairly slow to dry, despite being vented. with a larger load, it's better to just line hang the heavier/wetter items like towels, because it will take too long otherwise. Rated 5 out of 5 by Ra87 from Performs just as you'd hope Great features, great value and Westinghouse quality. The auto-moisture sensor works well. 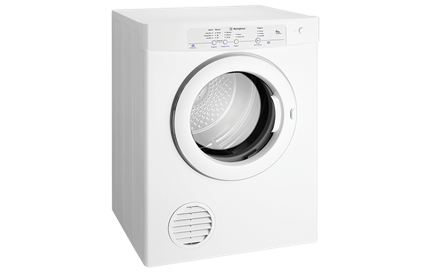 A really good all-rounder front vented clothes dryer. Rated 5 out of 5 by KatieAnne from Great dryer Super easy to use, dries well and quickly, no shrunken clothes due to sensor function, and easy on the power bill. Rated 4 out of 5 by Tabbycat from First Time Dryer Owner I bought this in January and then it never rained until recently so have only just used it. I love the 'no crease' option. Only suggestion would be to chose the 'extra dry' function as the normal dry leaves clothes feeling a little damp still. Rated 5 out of 5 by CarolD from Excellent Bought 6 weeks ago. The sensor timing is exactly what I wanted and it dries to the required level perfectly. Quiet in operation. Very easy to clean lint filter. Very efficient.